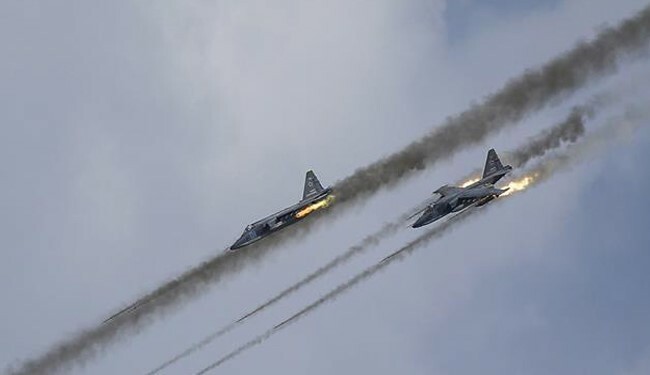 Precision air strikes by Russian air forces on militants’ infrastructure and positions in the Hama and Idlib provinces have inflicted heavy losses on illegal armed formations. In Aleppo, terrorist leaders have begun to panic. This has been reported to Russian Spring by a military source. “In the northern part of Hama province, one of the leaders of Jebat Al-Nusra, Abdul Jabbar Fawaz al-Ahmad, was liquidated. In the al-Latamna district, a commander of an Al-Nusra sniper battalion, Ahmad Nahlawi, was also killed,” the source told Russian Spring. North of Serakab, around 30 Al-Nusra militants were killed and more than 50 wounded by an air strike,” the source added. “In eastern Aleppo, following a series of successful Russian air force operations, an outright panic has spread among the war lords of Al-Nusra. It is known from reliable sources that in the southern part of blockaded Aleppo, incidents of militants refusing orders have been noted. In block 1070, leaders of the bandit group refused to attack the positions of Syrian government troops,” the source summarized.